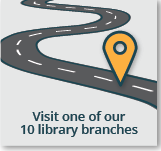 Throughout 2019, the Somerset County Library System of New Jersey (SCLSNJ) will continue to focus on the evolution of a thriving community with a program series and digitization days that center on the history of Somerset County and beyond. In partnership with the National Endowment for the Humanities (NEH), SCLSNJ will continue to collect, catalog, and preserve the collective memories of Somerset County residents. 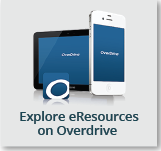 During the Library’s monthly digitization days, residents are encouraged to add their family’s most prized possessions to the Library System’s catalog. Whether these items are historic photographs, letters, or documents; sketches, paintings, or other artwork; family heirlooms including recipes; jewelry or decorative arts; textiles such as quilts, samplers, flags, or uniforms; antique toys; or something uniquely your own, the Library would be pleased to add the memory to their growing collection. All events take place from 1-3 p.m.
March 23, at SCLSNJ’s Somerville Library branch, located at 35 West End Avenue in Somerville. For more: sclsnj.libnet.info/event/596162. April 13, at SCLSNJ’s Warren Twp. Library branch, located at 42 Mountain Boulevard in Warren Twp. For more: sclsnj.libnet.info/event/596164. May 18, at SCLSNJ’s Peapack & Gladstone Library branch, located at the Municipal Complex on School Street in Peapack. For more: sclsnj.libnet.info/event/596166. June 15, at SCLSNJ’s Watchung Library branch, located at 12 Stirling Road in Watchung. For more: sclsnj.libnet.info/event/596168. In addition to the digitization days, the Library System will offer a historical program series spanning from March to June. The program series will explore farming, jewelry, the history of the Library System, and more. 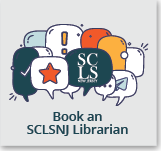 Learn the history of SCLSNJ beginning with its headquarters location at Somerville’s “other library.” Presented by Ken Kaufman, adult services librarian at the Bridgewater branch. March 21, 7 – 8:30 p.m. at SCLSNJ’s Somerville Library branch, located at 35 West End Avenue in Somerville. Register: sclsnj.libnet.info/event/1391469. 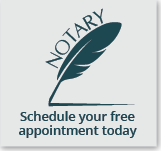 April 10, 7-8:30 p.m. at SCLSNJ’s Warren Twp. Library branch, located at 42 Mountain Boulevard in Warren Twp. Register: sclsnj.libnet.info/event/606861. Featuring the filmmakers, including: Brad Fay of the Millstone Valley Preservation Coalition; Jessie Havens of the Van Harlingen Historical Society; and Fred Frintrup of Visionary Studios. April 18, 7-8:30 p.m. at SCLSNJ’s Hillsborough Library branch, located at 379 South Branch Road in Hillsborough. Register: sclsnj.libnet.info/event/912846. Featuring leaders of the local farm-to-table movement, including: Chris Albrecht, Executive Chef of the Ryland Inn; Alec Gioseffi, President of the Cherry Valley Co-Op; and Ryck Suydam, owner of Suydam Farms and President of the NJ Farm Bureau. June 3, 7-8:30 p.m. at SCLSNJ’s Bridgewater Library branch, located at 1 Vogt Drive in Bridgewater Register: sclsnj.libnet.info/event/951568. Ken Kaufman, local history librarian, will examine what documentation is readily available for researching early settlers in Somerset County using online genealogical resources. May 15, 7-8:30 p.m. at SCLSNJ’s Peapack & Gladstone Library branch, located at the Municipal Complex on School Street in Peapack. Register: sclsnj.libnet.info/event/1391600. June 12, 7-8:30 p.m. at SCLSNJ’s Watchung Library branch, located at 12 Stirling Road in Watchung. Register: sclsnj.libnet.info/event/618379.